Littman + White invites all PSU students to submit small-scale artwork for exhibition in our Micro Galleries! Our Micro Galleries are three small circular windows next to the front of the Littman Gallery. The spaces are curated monthly by our curatorial intern and are dedicated to showcasing up and coming PSU student artists. If you work like to be considered for an exhibition please complete our Micro Galleries Submission form. Name your image files "LAST NAME_TITLE"
Littman + White is hiring a Gallery Director! We are seeking a proactive, team oriented student prepared to work in a collaborative environment. As a staff member of Littman + White, the candidate must be available to attend weekly staff meetings and work office hours. The position allows for some schedule flexibility and independent work to fulfill management duties. The candidate collaborates with the staff team in an inclusive decision-making process to establish weekly, monthly, and yearly goals for maintenance of our aesthetic program. The Gallery Director leads a staff of 4 - 6 student employees and interns on creating exhibitions and events that give students the opportunity to engage with contemporary art. They help create long-term goals for our organization and ensure that Littman + White’s mission is always being honored. They maintain organization of daily operations of the galleries, including administrative coordination such as budget, deadlines, and scheduling. The Gallery Director reports to and works closely with the Coordinator of Student Operated Services to support the Galleries' operational, budgetary, personnel, and programming goals while upholding university policies and practices. The ideal candidate should have leadership experience, demonstrate an active commitment to our mission, and have excellent written and verbal communication skills. Manage the budget, including composing term and annual reports and 5 year plan. Track inventories, facilitate purchasing. Liaise with SALP and the Student Fee Committee for budgetary and administrative functions, reporting regularly to gallery staff. Work closely with Publicity Coordinator and Co-Curators to help facilitate decisions that are in the best interest of the budget, while presenting a professional image of the gallery, and supporting a positive working relationship with featured artists. Establish and facilitate weekly staff meetings, helping to ensure open, effective communication among staff members. Organize gallery schedule: gather staff members’ schedules and make sure open hours are staffed. Ensure that our team is adhering to Environmental Health + Safety and ADA requirements during all gallery operations, including install and deinstall periods. Littman + White Galleries present the coinciding receptions for ghosts & venus and At The Horizon., our new exhibitions for the month of October 2018. The artists will be in attendance. The reception will include a special performance at 7 PM as part of ghosts & venus at the Littman Gallery. Thank you to our sponsors for supporting PSU students, Littman + White Galleries, and the Portland art community! 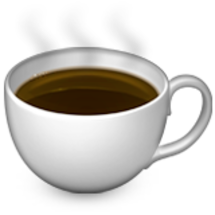 Enjoy free coffee, tea, cookies and conversation with the Littman +White curator Mui Easland during PSU’s Viking Days 2018! Easland is the curator for our current exhibition, WHIMSY IN COLOR, featuring artists Karl W. Kaiser and Sara Swink. Littman + White is hiring a Preparator! The Littman + White Galleries are student-run exhibition spaces at Portland State University. Our mission is to provide the tools for a critical experience of visual culture through comprehensive contemporary art programming. We envision the Littman and White Galleries as centers for cultural enrichment where an indispensable art experiences is accessible to the entire PSU community. We are seeking a proactive student prepared to work in a hands-on environment. The Preparator maintains the physical space of the gallery for the current and future presentation of artwork. The ideal candidate will have experience or interest in learning about art installation and de-installation, the ability to work with artists and curators in executing exhibition objectives, and scheduling flexibility. Evaluate needs and problems with the space and create solutions to safely install and de-install monthly exhibitions, oversee facilities and equipment including maintenance and lighting. Work with the curators and/or artist to determine the exhibition layout and oversee volunteers as needed. Manage inventory of tools, hardware and A/V equipment, working with the curators to and/or artist to determine exhibition layout, shipping and receiving artwork for installations. Physical ability to lift 30+ pounds and work on ladders. Improve condition of gallery walls and space between shows, preparing for next exhibit. As part of Portland State University’s Asian and Pacific Islander (API) Heritage Month programming, PIAAA and Littman + White Galleries present “Beyond Silk and Ink: A Conversation on the State of Contemporary Asian and Asian-American Art.” Co-curators Mui Easland and Andrew D. Jankowski will discuss topics and questions related to contemporary Asian and Asian-American art with panelists Ralph Pugay, Lilian Ongelungel, and Takahiro Yamamoto. In Western art academia and scholastic efforts, Asian and Asian-American art is too often relegated to discussions on history, with attention paid to certain mediums and aesthetics: e.g. ink calligraphy on rice paper, historic forms and landscapes, and antique ceramics. Without resources available for deeper studies, broader cultural understanding becomes exponentially more difficult to achieve. By hosting a panel on the state of contemporary Asian and Asian-American art, PIAAA and the Littman + White Galleries hope to broaden the understanding of these fields by people from PSU, Portland and beyond. “Beyond Silk and Ink: A Conversation on the State of Contemporary Asian and Asian-American Art” additionally acts as a closing reception for Romhaur, a photographic exhibition by the Cambodian artist LOEUM Lorn, hosted as a collaboration between PIAAA and Littman + White Galleries. Ralph Pugay is an artist and is currently the DePreist Visiting Professor in Art at the School of Art + Design. His work is represented by Upfor Gallery. Takahiro Yamamoto is an artist and choreographer based in Portland. He co-directs a performance company madhause with Ben Evans, and a part of Portland-based support group Physical Education with Allie Hankins, keyon gaskin, and Lu Yim. Lilian Ongelungel an artist, creator, and lover of learning. She is Palauan by blood, Portlander by birth, and Pasifika by spirit. Some element of these identities emerge in her artwork. The Littman Gallery is pleased to present its 6th Annual Juried Exhibition. Every year, the Littman staff extends an invitation to the students of Portland State University to submit completed works that they feel best represents their art practice. For each juried exhibition, the Littman Gallery’s curatorial staff invites art professionals from outside the PSU community to collaborate on selecting works to be included in the annual exhibition. This year our jurors will be Coco Madrid, Eden Redmond and Josephine Zarkovich. 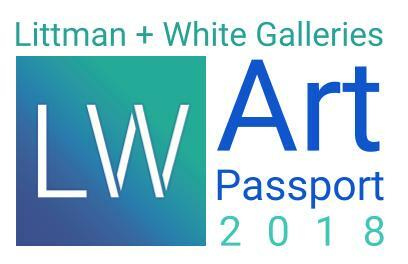 Submission can be emailed to Littman + White at submit.lw@gmail.com with the subject line JURIED EXHIBITION. Submissions will be accepted through 11:59 PM Tuesday, April 10, 2018. Eden Redmond is an artist, arts writer, and current Program Assistant for the Art Gym at Marylhurst. She formerly held positions as Communications Manager for Art Practical and Assistant Curator at the La Peña Cultural Center in Berkeley, CA. Join us for an Exhibition Reception and Artist Talk with Anthony Hudson as his drag clown alter ego Carla Rossi. Anthony Hudson is a multidisciplinary artist, performer, and filmmaker perhaps best known as Portland’s premier drag clown CARLA ROSSI, an immortal trickster whose attempts at realness almost always result in fantastic failure. Anthony & Carla host and program their LGBTQ film series QUEER HORROR bimonthly at the historic Hollywood Theatre, and Anthony’s new play STILL LOOKING FOR TIGER LILY is in process at Artists Repertory Theatre. Its companion piece, Anthony’s storytelling cabaret LOOKING FOR TIGER LILY, is making its New England premiere at Dartmouth College in April 2018. Find out more at TheCarlaRossi.com. Artist Talk at 6pm in Littman Gallery. 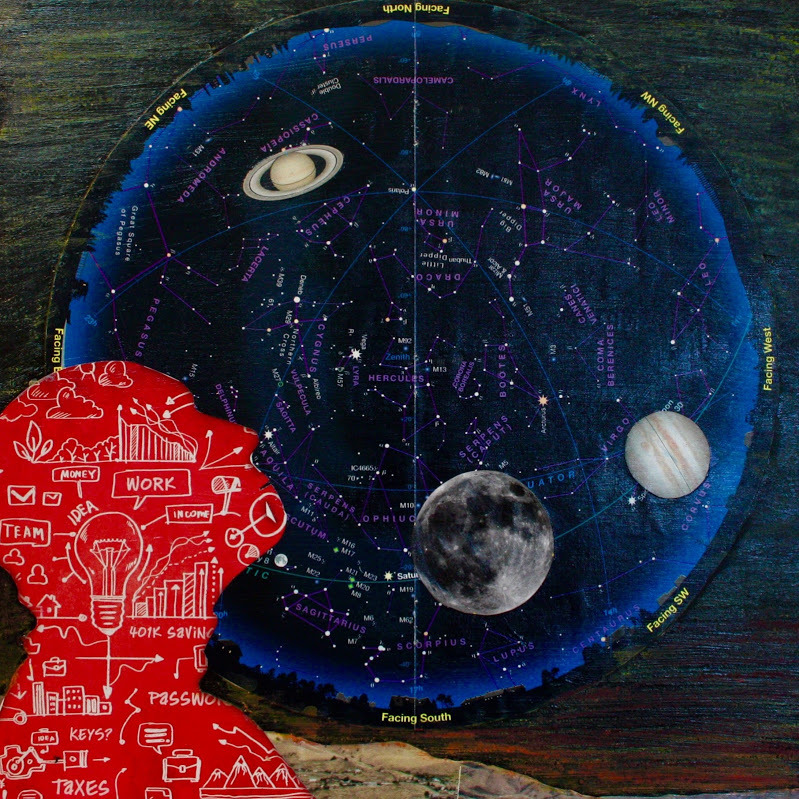 Kindra Crick’s multimedia exhibition explores the intersection of the ‘two cultures’ of science and art that share a common wonder at the creative possibilities which emerge from the cross-pollination of our material and imagined worlds. Join us for an enlightening discussion about the exhibit, the intersection of art and science, current memory research and sleep, with science-inspired artist, Kindra Crick, WSU neuroscientist and memory researcher, Dr. John Harkness and the arts-integrated neuroscience outreach group NW Noggin, consisting of PSU neuroscientist Dr. Bill Griesar and PSU professor and artist Jeff Leake. Kindra Crick is a Portland-based artist who gives visual expression to the wonder and process of scientific inquiry and discovery. In her installations and layered mixed-media work she incorporates drawings, diagrams, maps, and imagery from under the microscope. Her work has been influenced by the inspired marriage of her grandparents, the scientist Francis Crick and the artist Odile Crick. Recently she joined the Jordan Schnitzer Printmaking Residency at the Sitka Center. Her work is included in the LMB collection in Cambridge, England, with exhibitions at the New York Hall of Science and MDI Biological Laboratory. Her work has been featured in Science Magazine, The Huffington Post, SciArt Magazine, and on Oregon Art Beat. Dr. John Harkness: John Harkness is a postdoctoral research associate in the lab of Dr. Barbara Sorg, at WSU (Vancouver). There he investigates the role of perineuronal nets, a form of extracellular matrix in the brain, in rodent models of cocaine use. John’s research aims to diminish drug-associated memories, which likely contribute to relapse behavior. John is a founder of Rewire Neuroscience LLC, a Portland-based startup dedicated to empowering the future of neuroscience through intelligent research tools. John began collaborating with NW Noggin in 2013 through outreach and lectures, including Velo Cult, the Change Connect 4 Conference (collaborations with Kindra Crick), and Washington D.C. Congress and White House outreach events. Dr. Bill Griesar: Bill Griesar is a Senior Instructor in Psychology at PSU, Neuroscience Coordinator for NW Noggin, and Affiliate Graduate Faculty in Behavioral Neuroscience at OHSU. Bill earned his bachelor of science from the Department of Neuroscience at Brown University, where he studied visual perception, and his doctorate in Behavioral Neuroscience at OHSU, where he explored the cognitive effects of nicotine in non-smokers. Bill developed and has taught neuroscience courses at PSU, OHSU, PCC, Clark College, WSU Vancouver and Lower Columbia College since 2001, and co-founded the art and neuroscience outreach nonprofit NW Noggin. He’s been recognized as an innovator by the Obama White House, and has won numerous teaching awards. Jeff Leake: A California bay area native, Jeff Leake holds a BFA from the San Francisco Art Institute and an MFA from UC Davis. Fascinated with the origin and nature of our inner landscapes, he currently works with neuroscience faculty at WSU, Vancouver and PSU to teach art and neuroscience. He is also the co-founder and art coordinator of NW Noggin an art and neuroscience outreach group. He has been all over the country lecturing and teaching neuroscience through art including several lectures on art and drugs for the Portland Art Museum, Science On Tap, and the Washington State Psychological Association. He has exhibited his art nationally and internationally while living and working in Portland, Oregon.